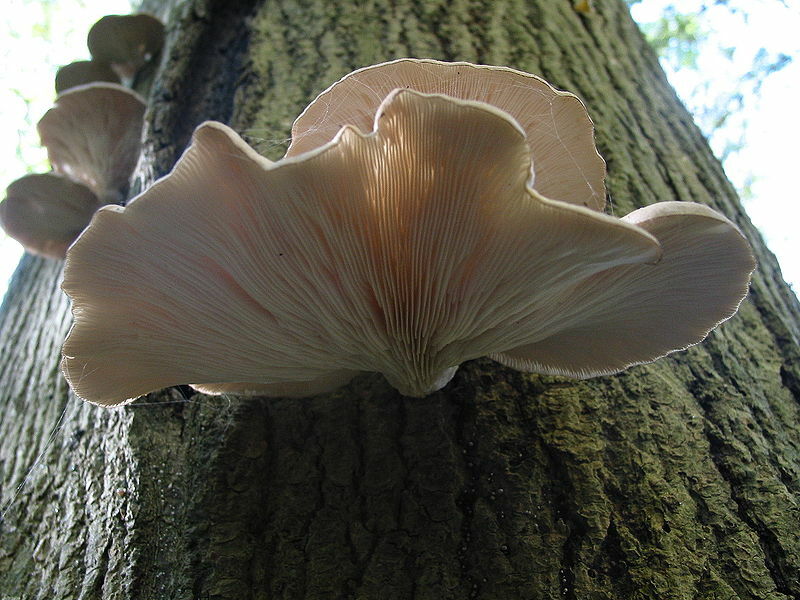 Pleurotus ostreatus, or the oyster mushroom, is a common edible mushroom. As much at home in a stir fry or a soup, one would not expect this culinary baseline to be anywhere other than at the bottom of the food chain. Surprisingly this is not the case, as the oyster mushroom is a stealthy and efficient predator of nematodes. Nematodes, a type of worm, are infamous agricultural pests. The damage caused by these miniature beasts has been estimated at $US80 billion per year, though this is believed to be a severe underestimate as many growers are unaware of them. They even present a threat to the cultivated mushroom industry, being a renowned pest of button mushrooms, so how is it that they fall prey to the oyster mushroom? The answer is one of ingenuity on the part of the fungus. Unable to chase the nematodes, mushrooms are notoriously sessile, it instead lays a trap. It secretes a toxin which, upon contact with a nematode, proceeds to immobilise the worm in as little as 30 seconds. Fungal hyphae, attracted to the (still alive) nematode through host leakage products released by immobilisation, penetrate one or more of the nematode’s orifices and proceed to digest it. The unrelated fungus Arthrobotrys also hunts nematodes, but through a completely different mechanism. Instead of stunning its host, it captures it in a hyphal lasso. Known as a constriction ring, this consists of a hypha fused with itself to form a three-celled ring about 20-30 microns in diameter. If, and when, a nematode enters the ring, it triggers the three cells to expand rapidly (within 1/10th of a second) and trap the nematode. Killer fungi aren’t just of academic interest either. The hunting abilities of fungi, particularly the oyster mushroom, make them potential effective and green bio-control agents. Indeed, initial tests have found the oyster mushroom effective at controlling the Sugar Beet Nematode (Heterodera schachtii), through field tests have yet to be carried out. It appears that fungi aren’t just passive members of the woodland scenery but rather edible guardians protecting against the nematode threat. ← Who said organic farming was less productive? Organic farming is proving to be the best way to take Agricultural production.